Real Madrid are reportedly facing paying as much as €150million and offering Marco Asensio to Paris Saint-Germain in order to seal the transfer of Kylian Mbappe. 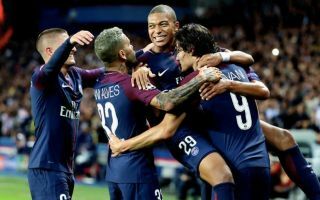 Los Blancos could badly do with a marquee signing like Mbappe to bolster their attack after the sale of Cristiano Ronaldo to Juventus this summer. Mbappe, 19, is one of the most exciting talents in world football right now and would undoubtedly fit the bill, but it seems he won’t come cheap. That’s according to Spanish outlet Don Balon, who state the France international would either cost €300m in a straight cash deal, or that PSG would ask for €150m plus Asensio. The report goes on to state that Madrid do not want to let Asensio go, so will revisit this deal again in the future without having to sacrifice one of their own exciting young players. The 22-year-old attacker was in dazzling form for Spain last night as they thrashed Croatia, with his superb long-range shooting getting Manchester United fans raving about him and urging their club to snap him up. Real will not want to part with a talent like that, though of course it would be tempting to do almost anything to get someone like Mbappe on their books.